One of the easiest ways to work from home is by doing virtual assistant (VA) work. Virtual assistants are skilled, home-based professionals that offer companies, businesses, and entrepreneurs administrative support. Virtual assistants perform a wide variety of tasks … in fact, the services that you can offer are endless and all depend on your background training, experience, and skills. Employee or entrepreneur — which route is right for you? When you work as a virtual assistant, you can choose to work as an employee or you can set up your own business. There are pros and cons to each arrangement. When you work as an employee, you don't have to invest any money up front or find your own clients, but your pay rate, work hours, and how you work will be more restricted. Please note, if you're hired on as an independent contractor or a freelancer — you are considered self-employed and will need to pay quarterly self-employment taxes. 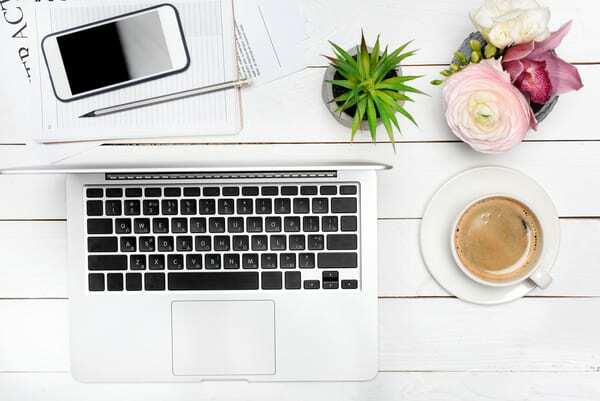 When you set up your own business, you have more flexibility with scheduling, choosing clients, and setting your rates, but you'll also have to find your own clients, set up your business, and pay self-employment taxes. Setting up a virtual assistance business is easy and has relatively low start-up costs. Some items you'll need to get started are a phone line or cell phone, a computer, high-speed internet access, a printer, a scanner, and a website to market your business. Don't worry — you can set up a website in a few easy steps for little to nothing by using WordPress. For a complete checklist of steps — check out this article. Where do you find virtual assistant jobs? Depending on what services you offer, how long you’ve been working in the field, and your experience, virtual assistants can make anywhere from $12 – $60 per hour. If you're running your own VA business, there are a few different ways that you can charge for your services; by the hour, by the task, project, or package – explore what options work best for you and your clients. 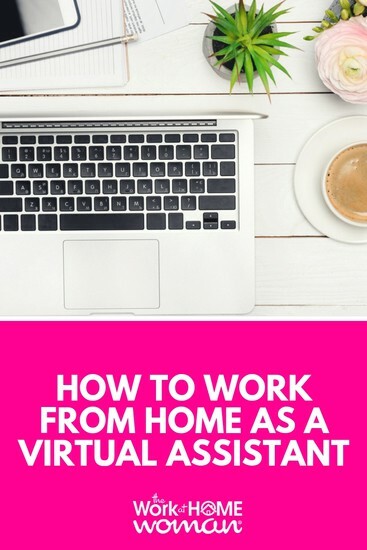 While you don't need any special training to work from home as a virtual assistant, you do need to have good organizational and time management skills, as well as excellent communication skills. There are some virtual assistant training programs and certifications, and these can be helpful in establishing your credibility in the field; especially if you don't have any prior job experience. Virtual assistant resources and courses. Want to start your own VA business? There are many different services you can offer, but even something more to consider is who would you like to work for? While some VAs are generalists and work on a wide variety of tasks, it's easier and more lucrative to choose a specialty. Figuring out what niche you want to focus on can be a challenge, but if you mind-map your passions, interests, experience, and knowledge you can narrow it down relatively easy. Still uncertain? This list has a bunch of services you can offer that can help you determine your specialty. To be competitive as a virtual assistant, you need to have a website. Having an online presence will help you attract more clients, it gives you a place to showcase your work, list your services and testimonials, and it makes you look more professional. Don't worry, setting up a website is easy and affordable. This post has step-by-step instructions that will have you up and running in no time — and it's affordable! There are tons of ways to promote your VA business; the thing you need to remember is consistency is key. Choose two to three methods that you think you'll enjoy doing and spend time each day working on those methods. Now that you've got your website in place and you're actively marketing your business, it's time to connect with potential clients. Some experts believe you should follow up with five to ten new prospects a day until you have a constant flow of clients in your pipeline. 4. Invest in your VA business. As your cash flow builds, you’ll want to reinvest some of it into professional development. Luckily, they are events, conferences, webinars, teleconferences, online courses, books, membership sites, mastermind groups, and coaching sessions – there is something to fit every budget and every niche. By investing in yourself and your business, you gain the knowledge, information, and skills to make your freelance business a success. Starting your own VA business may seem like a far off distant dream – but if you take the first step, you can make it a reality. Good luck on your journey!